I wanted to share a little behind the scenes today in tribute to mothers day is this weekend. 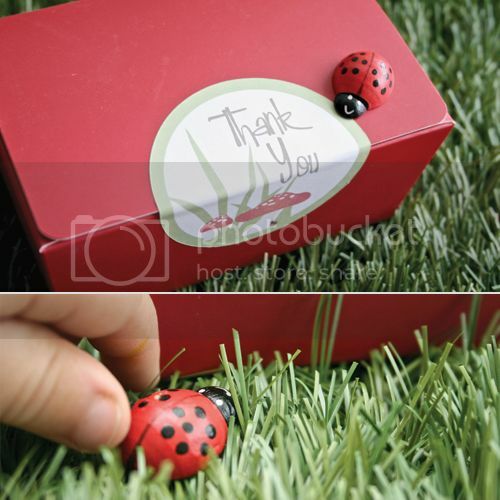 Here's a fun glimpse into life at my place, over the past few months, when I'm doing a shoot or something and there are an extra pair of little hands around to "assist"! 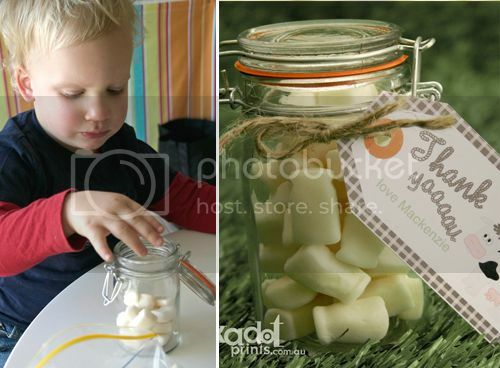 What you see is a full jar of milk bottles, what I see is a child getting hopped up on sugar after he woke from a nap and wanted to 'help' put them in. 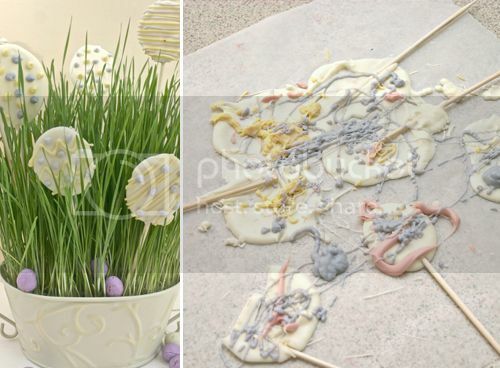 What you see is nice manicured grass and round choc pops...what I see...let's just say these choc pops didn't make it into the shoot - this still makes me laugh! 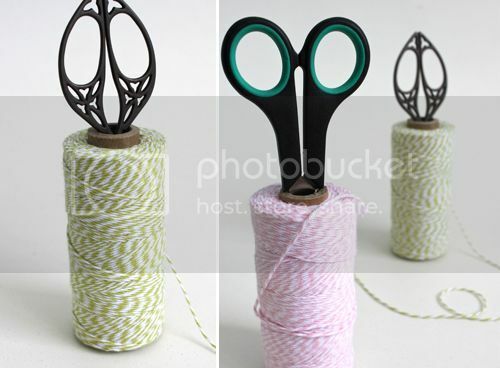 What you see is a spool of twine with vintage scissors...I walked out of the room after shooting the new twine colours and come back to find these craft scissors in a spool. I realise this kid is getting good! This is very recent and maybe my favourite. 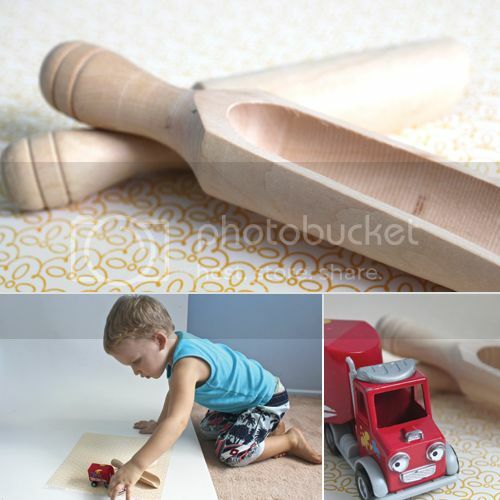 He even did some art directing on this shoot, I leant back after finishing my shots, and he wheeled his favourite truck into the frame and then said "do his face" - who am I to say no?! He loves you 'red trailer truck'. He won't be this small forever, so I find it helpful for me to remember the cute moments amongst the everyday - I hope you enjoyed a little glimpse behind the scenes at my place! Too cute! Wish I could be as calm as you! 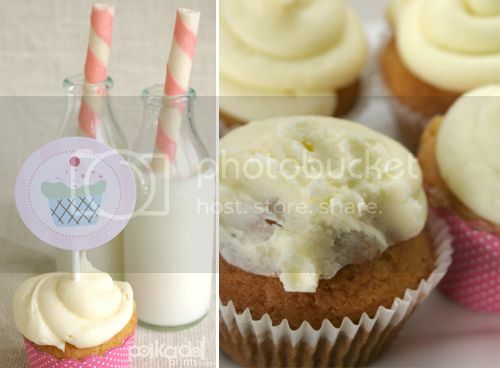 I have two 'assistants' who usually make off with my props (cupcakes)! too cute. what would life be without sticking fingers and faces?! Oh so cute, he does have a good eye. This is priceless! Thanks for the behind the scenes look! i love this post jordan... amazing how the littles want to pick up our skills. that's adoration at it's best!